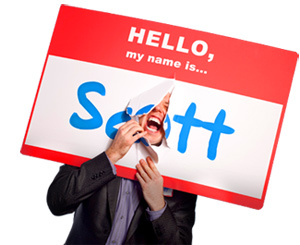 How to Exponentially Increase Your ROE: Return on Experience - HELLO, my name is Scott! My mentor, William Jenkins, taught me that lesson when I was 17 years old. Little did I know that his wise words contained the #1 secret to becoming a successful Thought Leader. Develop a system for exponentially increasing ROE, or Return on Experience. 1. Allow no experience to be meaningless in your sight. Everything that happens in your life affords SOME value. But only if you enhance your ability to be influenced in the moment. This requires open mindedness, mental flexibility and the willingness to be mentored by everyone and everything you experience. Read The Mentor’s Spirit for the (life-changing) philosophy behind this practice. What do you see when you see people? 2. Be not wrapped up in the injustice of the situation. “Save the drama for your mama,” as my yoga instructor likes to say. That means not wasting any energy whining about your current experience. Instead, redirecting any frustration you have into learning from that experience. That also means coping calmly with your inconveniences. Practicing undeniable objectivity – learning to unglue your heart from the problem. Do you have the capacity to respond flexibly to what the world hurls at you? 3. Become conscious of your own development. “You can only know what you’re really doing by making the process conscious,” says leadership professor Warren Bennis. So, here’s the secret: Learn to spy on yourself. During or directly after an experience, practice detaching, disassociating and sort of “getting out of yourself” for a while. Look inward at your own behavior. Gently poke your inner landscape with an inquiry or two about what’s going on in the moment. Try questions like: “In what ways am I reacting, instead of responding?” “What are the consequences of the choice I’m making?” and “What am I resisting?” How conscious are you experiences? 4. Create a constant source of learning for yourself. This will assure you maintain relevancy, credibility and relatability. 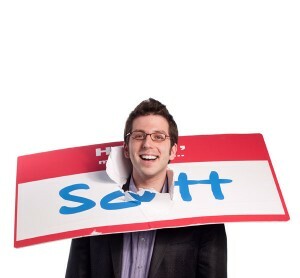 Personally, I read five books a week, write for four to seven hours a day, practice listening daily, travel several times a month, and of course, wear a nametag twenty-four-seven. That’s MY system for constant learning. Your challenge is to build a unique education plan around your passions and preferences. Remember: If you’re not current, you’re not credible. What have you learned TODAY? *What lessons could I learn from what JUST happened to me? *How does this fit into my theory of the universe? *What generic attributes of what just happened to me can be extracted and practically applied to anybody? Create your list of questions today. Start asking them tomorrow. Wisdom will have no choice but to show up. What’s your learning cycle? 6. Don’t grip the bat too tight. Don’t swallow anything uncritically. You might miss openings the world is trying to give you. Instead, allow your experiences to profoundly penetrate you. Freeze situations in your mind. Register the moments. Let the pearls sink. And please, put away that goddamn camera. Just try experiencing and remembering things for change. I guarantee your learning will double. Are you experiencing the world with your head, your heart or your iPhone? P.S. Make sure to take charge of your own learning and write that lesson down. Because if you don’t write it down, it never happened. Are you willing to endure the failure that growth requires? REMEMBER: You are the sum of all your experiences. Ultimately, the more experiences you have – and the more you learn from them – the more ROE you will build. For the list called, “7 Ways to Out EXPERIENCE the Competition,” send an email to me, and you win the list for free!